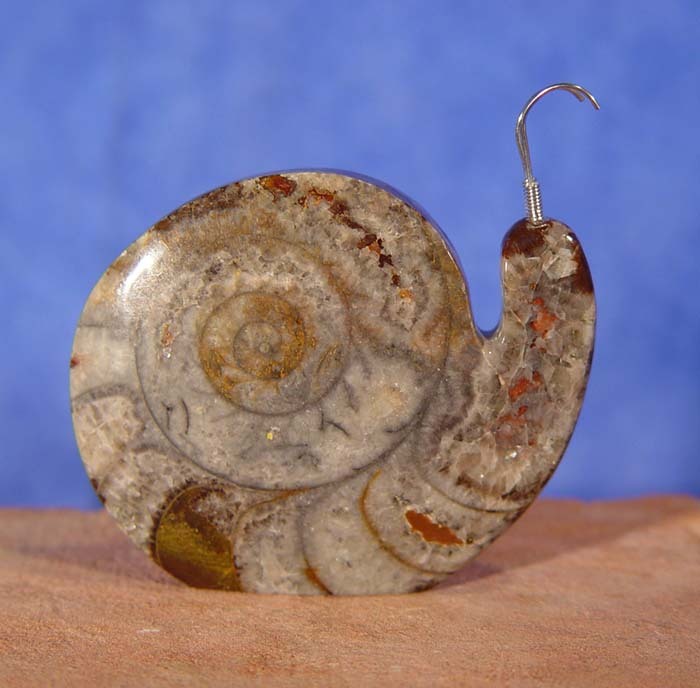 Ammonite is used by the Zuni Indians in their fetish carvings. It is used usually as a stand-alone material used in Zuni fetish carving, depicting animals or human / corn maiden figures. Ammonite is not too frequently used in fetish carvings. It typically is used to depict animals that have a shell-like physicality to them, such as snails, or in rounded forms such as bears.